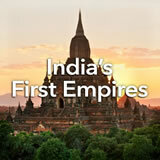 Students explore the facts and the effect of the Aryan migration to India in ancient times. Then, they learn about the caste system, which was built upon Aryan social class structure. Finally, they write imaginatively describing their images of Aryan life. In this experience, students explore the facts and the effect of the Aryan migration to India in ancient times. Then, they learn about the caste system, which was built upon Aryan social class structure. Finally, they write imaginatively describing their images of Aryan life. Describe the Aryan conquest and migration. Describe the caste system in India and its impact. 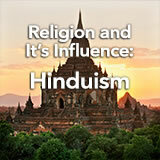 About 3,500 years ago, a mysterious, horse-riding warrior people with passionate religious beliefs showed up in India. They are known as the Aryans, and in this experience you’ll learn a lot more about them! Archaeologists today are not sure where the Aryans came from, but the most popular theory says that they migrated down from the north, from Central Asian areas such as Afghanistan or Persia. Some archaeologists think the Aryans conquered the Indus Valley civilization. Since the students are told to watch the video from the middle, you may choose to prepare the start point ahead of class and project the video for your students. Here’s your first glimpse of the Aryan culture, also called the Vedic culture. 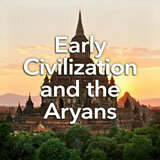 Watch The Aryan Migration—Invasion and Influence on India from 6:03 to 7:15. The Aryans, being nomads, did not leave many material records such as buildings or monuments. 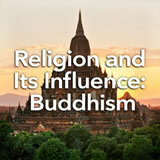 Instead, they left a belief system that became the heart of one of the world’s most popular religions, Hinduism. And they left an elegant language, Sanskrit, which provided literary and philosophical monuments in the Vedas. The Vedas were first composed orally, then written down in later times. Write a question you have about the Aryans. Look at your classmates’ questions and discuss them with a neighbor. 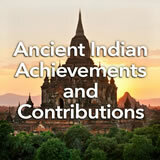 Interested students can watch History of Sanskrit in the Student Pack. For background to the Aryan culture and its religious literature, watch Introduction to the Vedic Period in the Teacher Pack.